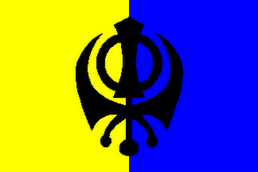 THE ROAD TO KHALISTAN: W3I: "One Land, Two Laws"
W3I: "One Land, Two Laws"
A few days ago, I explained that I feel the need to answer the question I am often asked: "Why Khalistan? What's wrong with India?" Hereafter, I shall refer to this series as 3WI. Here is an article about a doctor, a pediatrician who had been working with India's poor, giving them necessary, compassionate healthcare denied them by their government. 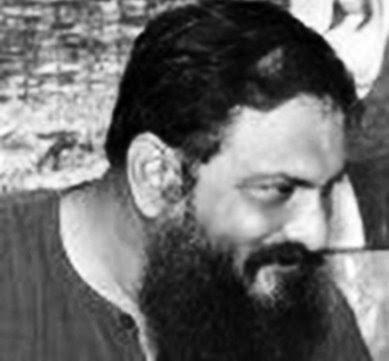 So let us now consider the strange case of Dr. Binyaka Sen. It seems that his crime is being a compassionate doctor. 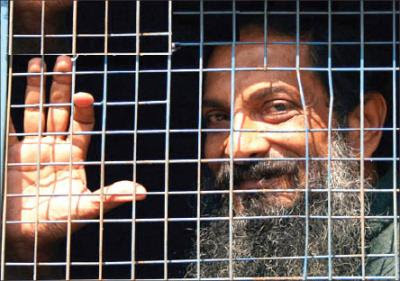 He had been held in solitary confinement in the Raipur Central Jail in Chattisgarh since 15 March 2008. Thanks to an international uproar, he has been released from solitary confinement and is a regular prisoner again. Now the fight must be for his unconditional release and total exoneration of these ridiculous charges. India again works again those trying to help her. Click here to go to the website supporting Dr. Sen. I am not here going to comment on Varun Gandhi. I consider him a fool, an idiot with attitudes typical of his family (although rarely spoken publicly). . I will write about him after the election, should it be necessary. NEW DELHI: This is a country where the law clearly protects the rich and famous and comes down heavily, very often unfairly, on the poor and powerless. For all those listening / watching aghast at how low our politicians can sink - e.g. Varun Gandhi’s vituperative attack against the Muslim community in an election address in Pilibhit from where he will contest on the BJP ticket - they always knew deep down that nothing would come of it. The interim anticipatory bail granted to him on Friday is on those very predictable lines. The scion of Sanjay Gandhi will grow from strength to strength in an age which hails ‘khalnayaks’ who indulge in communally divisive politics .For them there is no Model Code of Conduct but a Model Code of Self Seeking Hate Politics. The BJP will not take away their symbol from Varun .Nor will the law of the land really move against him and keep him from contesting the election. And getting a bail will be child’s play for a person as influential as Varun Gandhi. Contrast this with another case playing out in far off Raipur in Chattisgarh. The case of Dr. Binayak Sen , a good doctor who worked tirelessly to provide health care to the poor and who has been languishing in jail for nearly two years now . The charges slapped against him were that of having sympathetic links with Naxalites and allegedly being a courier between a jailed Naxalite he was treating and a businessman. While the Raipur Sessions court rejected his bail application in July 2007, the Chattisgarh High Court denied bail twice, first in July 2007 and again in December 2008. 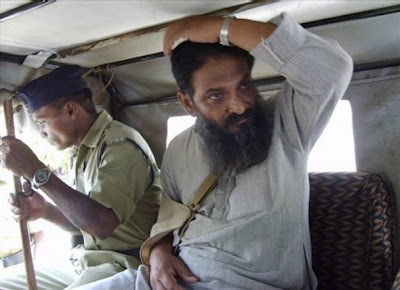 Countless media reports and organizations fighting for his release have pointed out that although Dr Binayak Sen has been arrested on charges under the controversial Chattisgarh State Public Security Act, none of the over 80 witnesses produced in his trial so far at a sessions court in Raipur have been able to substantiate any of these charges. So far the Chhattisgarh government and its police have also not been able to provide any proof of his involvement in extremist activities. Yet the barefoot doctor, whose life’s mission was to heal those who had been left out of the state’s medical radar, has been denied bail and left to rot in jail for 22 months. What is worse his health has been fast deteriorating and appeals for justice have fallen on deaf ears. 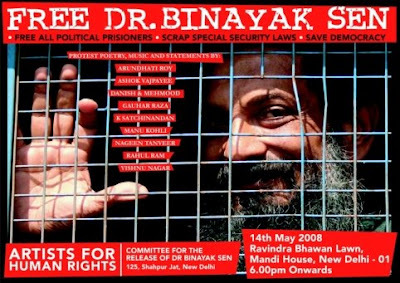 In the days and months following his incarceration there has been an international and national demand for the release of Dr Binayak Sen. As many as 22 Nobel Laureates signed a petition in support of his immediate release terming his arrest a travesty of justice. 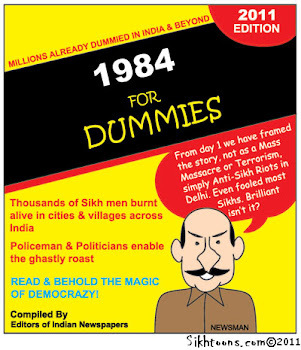 But it has failed to move either the BJP government in the state or the UPA government at the Centre. On March 16, 50 activists of the national campaign for the release of Dr. Binayak Sen, marched to the jail in Raipur in a ‘jail bharo’ agitation to highlight the case.The Raipur Satyagraha was led by well-known social worker and Magsaysay Award winner Sandeep Pandey and include eminent persons like documentary filmmaker Anand Patwardhan and members of various civil society groups, civil rights organisations, trade unions, lawyers, journalists, medical professionals and women’s groups. The satyagraha will be held every Monday in front of the jail in Raipur where Dr Binayak Sen is incarcerated. They are demanding that the Chattisgarh government should stop opposing the grant of bail to Dr Sen. Denial of bail should not be used as a punitive measure as this goes against the spirit of the entire justice system and constitutional rights, they stress. In a bid to win over high profile judicial support in favour of Sen, there is now a petition going around with former Supreme Court and High Court judges. Eminent former Supreme Court Judge V R Krishna Iyer has already put his weight behind the petition along with six others.